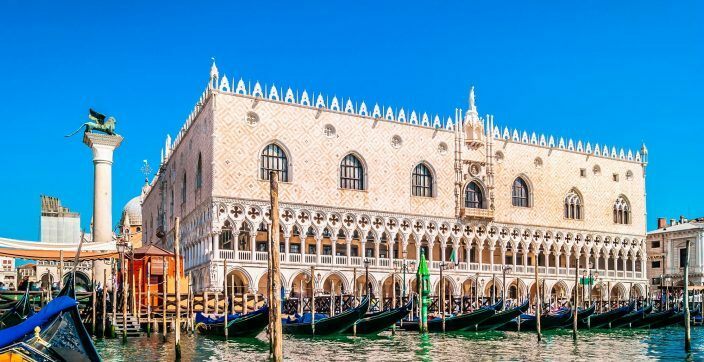 A 14th Century masterpiece of Venetian Gothic architecture with an imposing heritage setting that dominates the lagoon on Riva degli Schiavoni in the heart of Venice. 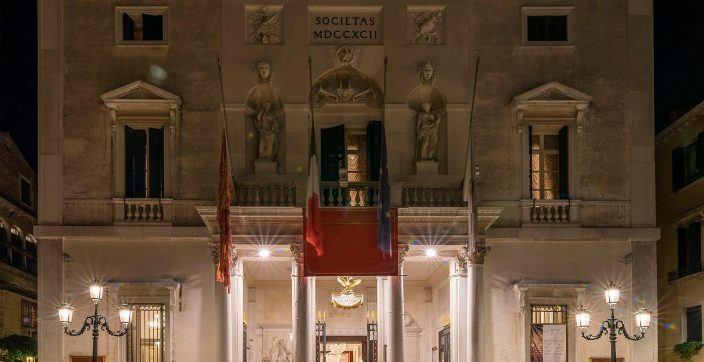 Styled in Gothic splendour, the non-smoking 45- to 46-square-metre Executive Suites take their inspiration from the strong lines and colours of Palazzo Dandolo’s historic hall. French interior designer Jacques Garcia evoked the same opulence on a more intimate scale in these superb one-bedroom accommodations. Separated by a wood-trimmed archway from the bedroom, the sitting area features deeply upholstered armchairs and settees in a classic shade of Doge red. Swagged crimson drapes frame views of one of Venice’s most recognizable historic sites—the Palazzo Ducale, or Doge’s Palace. Within the Palazzo Dandolo there are an array of Dandolo Suites. 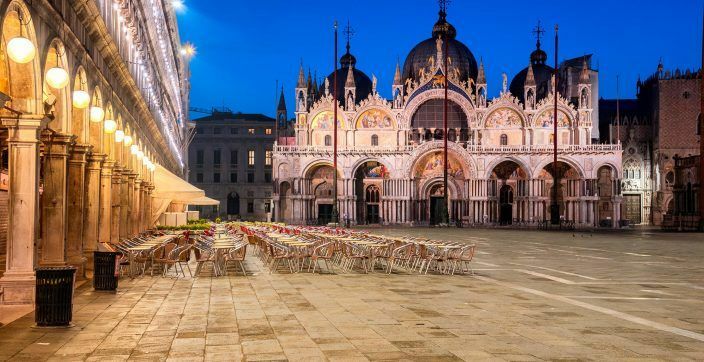 These exquisite accommodations overlook Calle delle Rasse, the Church of San Zaccaria, Rio del Vin, or Venice’s iconic rooftops. French architect/designer Pier Yves Rochon restyled each suite's interiors favouring soothing color schemes that complement decorative carpeting. Window treatments comprise grey damask drapes with silk curtains, walls feature stucco in hues of pink framed by white, or etched Venetian mirror panels. Framed Venetian prints, and paintings are prominently displayed throughout. A balcony is available in select suites. 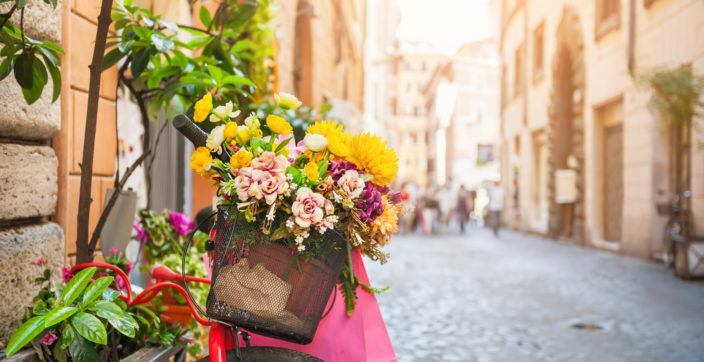 Occupying all floors of the 14th Century Palazzo Dandolo, these refined retreats carry the signature of French designer Pierre Yves Rochon and offer views of Calle delle Rasse, the suggestive Rio del Vin, the Church of San Zaccaria, or Venice’s iconic rooftops. Soothing color schemes complement terrazzo Veneziano floorings or opaque parquet floors with decorative carpeting. Window treatments comprise grey or blue damask drapes with silk curtains. Damasks by Lorenzo Rubelli Venetian weavers also adorn some walls, while others feature stucco or etched Venetian mirror panels. Located on the second and fourth floors of the Palazzo Casa Nuova, the 44- to 48-square-meter Lagoon View Junior Suites enchant from the moment one steps foot through the door. Undeniably romantic, the Baroque influence is evident in the embroidered pink and blue floral tapestry found in the window treatments and the upholstered furnishings, framed in softly coloured lacquer. Glints of delicate Murano glass in the side lamps, wall sconces, and lustrous chandelier add their own flicker of magic. Each suite’s long French windows open out onto glorious views of the Venetian lagoon and its islands, the Grand Canal and the Riva degli Schiavoni. Styled by Jacques Garcia with Gothic flair and varying in size from 40 to 60 square metres, the one-bedroom suites in Palazzo Danieli Excelsior and Palazzo Casa Nuova feature a host of thoughtful amenities. From the signature Luxury Collection beds to the customised Laura Tonatto toiletries in each bathroom, no detail is spared. 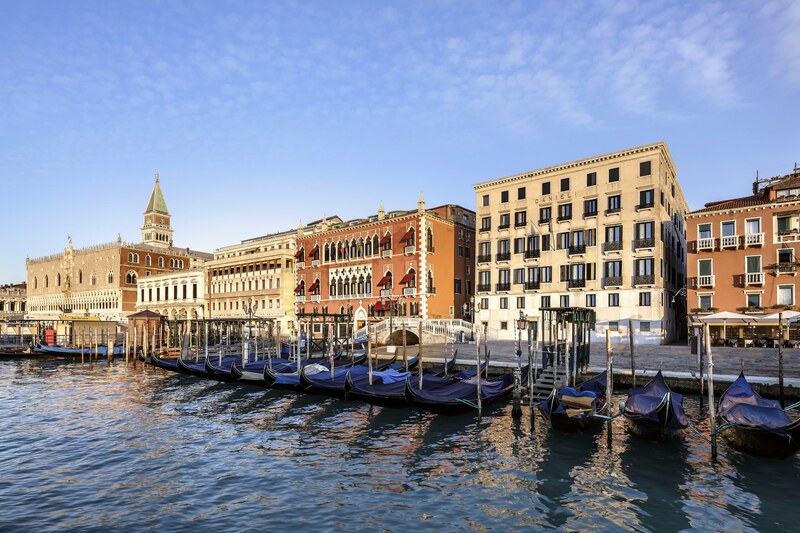 Every suite also enjoys a view of the Venetian lagoon, the renowned Grand Canal, and the Riva degli Schiavoni. Embracing the spirit of eras gone by, the Signature Suites at the Hotel Danieli deliver an exceptional experience—transporting guests to a time of breathtaking grandeur. 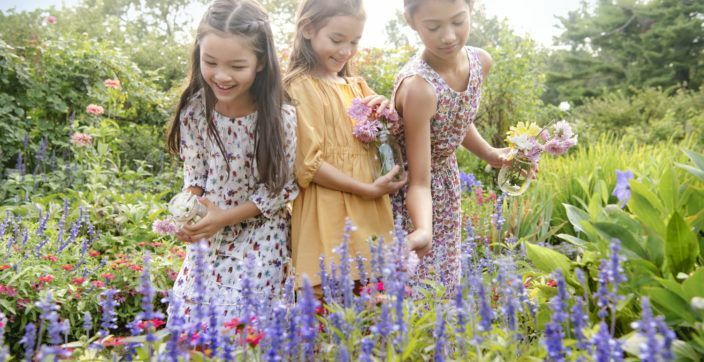 Varying from 65 to 73 square metres, each one-bedroom Signature Suite may be connected to adjoining Lagoon View Double rooms, Premium Deluxe Rooms, or a second Signature Suite to form two, three, four and five-bedroom suites—perfect for families or larger parties travelling together. 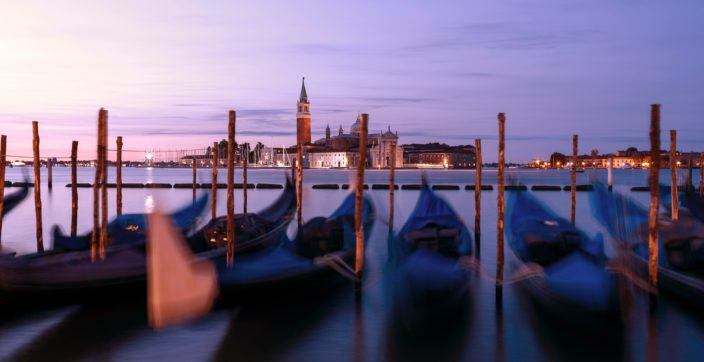 Each suite features private balconies with views of the Venetian lagoon, its islands, the incomparable Grand Canal, and the ornate Punta della Dogana. Boasting several balconies with 180° panoramic views of the lagoon, the sweeping 150-square-metre Doge’s Royal Suite offers a taste of regal life. The sitting area features ornate gilded Baroque armchairs, upholstered in green and gold damask—the colours echo the spirals of gold dust dancing in the 18th and 19th century Murano glass chandeliers. A decorative fireplace with altar-like mantle presents the Dandolo family coat of arms, accented on either side by antique paintings of members of the royal household.On the elaborate stucco ceiling, an original 18th century fresco of “putti” angels by Iacopo Guarana has been restored to perfection. Carnival (or “Carnevale”) is a centuries-old Italian tradition and one of the world’s most famous celebrations. 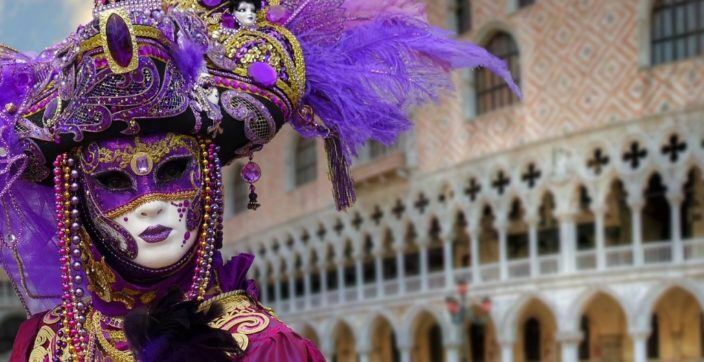 As with Carnivals celebrated around the globe, the Carnival in Venice takes place in the days leading up to Lent. 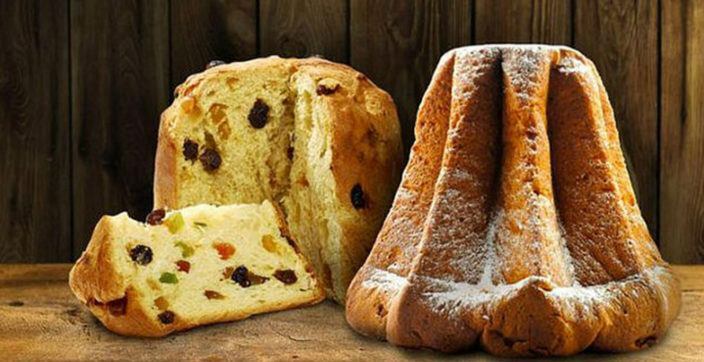 The deliciousness of Panettone and Pandoro has made a trademark of the Italian culinary tradition, much appreciated in most of Europe. Discover its history and the differences that characterize these two delicacies. Teatro La Fenice is one of italy's oldest opera houses and the site of some of the most famous operatic premieres. The Doge's Palace rises proudly above the Piazzetta San Marco, this pink and white marble gothic marvel is the true expression of Venetian prosperity. The religious center of Venice, and the original chapel of the Doge, Basilica di San Marco is the world's finest example of Italo-Byzantine architecture.